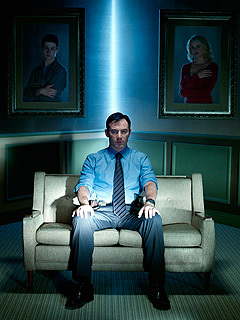 Following the series finale of Awake I found many sites were interpreting the final scene as meaning that it was all a dream, and the accident did not occur. I posted my disagreement with this interpretation. Subsequently interviews with Kyle Killen (such as here) verified my interpretation and answered additional question. 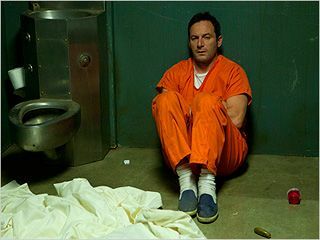 The finale went into a different form of dream after Britten was in jail in one of his realities. In this dream, Britten actually met with his self from the other reality, was followed by both of his psychiatrists, and had an unusual meeting with his wife. It might be argued the Britten in jail was the real Britten, having dreams of solving the crime and being the hero in the other reality, and developing a new dream to cope with the reality of being in jail. Regardless of whether this was the real Britten or a dream within a dream, the episode ended with Britten speaking with Dr. Evans. She attempted to convince Britten that the world with Hannah was just a dream, but Michael then questioned what the “rules” were. Britten never had been interested in finding which reality was true–his desire was to have both his wife and son back alive. His mind coped with the death of one by creating a second reality in which the other survived. His mind now realized that he could create an even better fantasy in which both his son and wife were alive. The immediate feeling upon watching this episode was that this was a happy ending with Britten getting what he wanted. It is also an ending in which Britten is even more out of touch with reality. Benedict Cumberbatch and Matt Smith presented Steven Moffat with a well-deserved special BAFTA Award. Video of the presentation, including clips from Moffat’s work, is above. Matt Smith carried the Olympic Torch this week. Pictures and an interview with Smith were posted here, and above is another news clip. 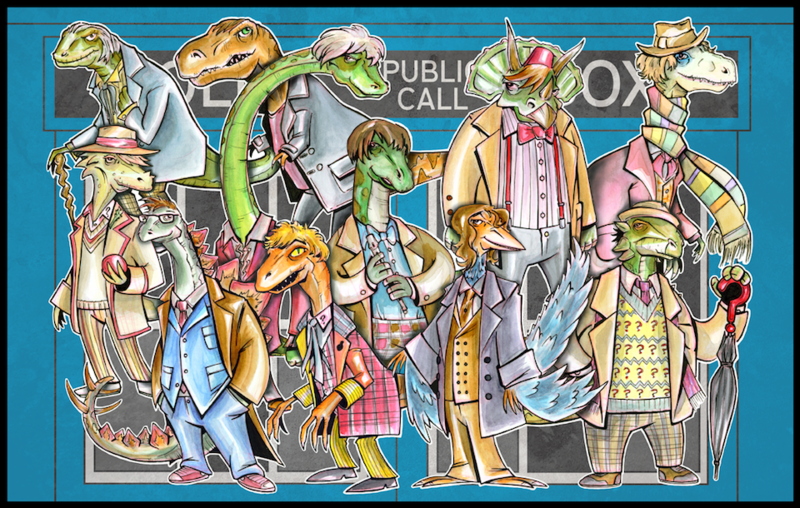 If you every wondered how all eleven Doctors would look if they were dinosaurs, an entire set of pictures can be seen at I09. Christopher Eccleston continues to insist he will not appear in a 50th reunion episode. He has previously explained this by saying, “I never bathe in the same river twice.” This never sounded like a satisfactory reason, and he has subsequently elaborated without much detail saying, “I know what went on and the people who were involved know what went on. That’s good enough for me. My conscience is completely clear.” Obviously there were problems which have not been made public. Gillan leaving means that Jenna-Louise Coleman has started filming. Her initial filming was behind closed doors so we do not yet know how her character will look. Merlin is filming season 5. Sign seen in Colorado above. 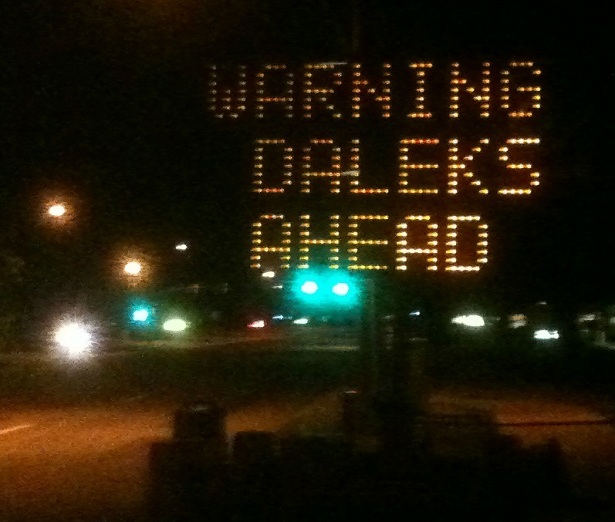 If Daleks were there, it would certainly be good to warn people. Last year the same area had a sign warning “Zombies Ahead.” That would be another important warning. Besides the obvious hazards, there are serious tax implications to a Zombie Apocalypse, as is discussed in this paper, and summarized here. House concluded last week with House and Wilson being compared to Holmes and Watson. The series ended in a manner similar to how Moffat’s version of Sherlock ended its second season, with both House and Sherlock faking their own deaths. In addition, Moffat’s other show also ended with the Doctor faking his death. Steven Moffat and Mark Gatiss discussed the finale of Sherlock with The Guardian but gave no clues as to how Sherlock survived. Moffat simply says, “He did it cleverly. Very cleverly. And we know, we’re not telling – next! 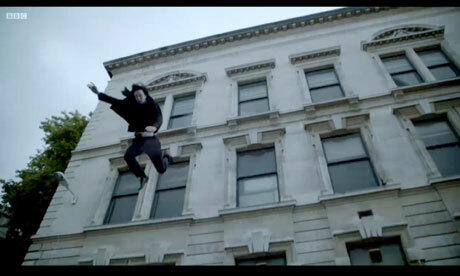 !” I suspect that there will be aspects which were not clear on screen so I have not worked on a full explanation as to how Sherlock survived, but here are my comments after The Reichenbach Fall originally aired on the BBC. It seems strangely appropriate that the big war scene which this season of The Game of Thrones has been leading up to will be airing this Memorial Day weekend. The spring, before many are paying attention, is providing both campaigns with a period in which to look at potential surrogates and decide who might be helpful to the campaign. Of course Giuliani is generally a more effective speaker when ranting against liberalism, especially when he delivers his speeches in the original German.